Hire Our Heroes has teamed up with the SANS Institute to develop the CyberTalent Immersion Academy – a program to provide no-cost (to you) training, certifications, mentorship and job placement assistance specifically to veterans in the Cybersecurity workforce. Two new cohorts are filling up quickly with an application deadline for next Monday July 27th for all qualified veterans. This is a highly selective program – only 15-20 applicants will be chosen from the dozens that are eligible. Those selected to participate will receive training and testing for up to three SANS certifications during a 2-4 month long learning blitz. After earning your certifications you will be introduced to employers ready to hire people with your training and experience. All of this is at no cost – you only need to provide the time and commitment to succeed. – at no cost to veterans. Scroll down for additional details and how to register. ● To launch careers in cybersecurity for qualified, transitioning veterans. ● To provide employers with the means to quickly and cost­effectively identify, train, and employ individuals who can fill critical, open jobs in cybersecurity. ● To address the severe shortage of cybersecurity professionals with real­world knowledge and hands­on skills. ● To support America’s veterans. ● To provide employers with priority access to top cyber talent for key positions. ● To strengthen the cybersecurity industry. VetSuccess is a partnership of three groups and each provides a key ingredient to success. 1. SANS provides the best cybersecurity training available. SANS is the most trusted and by far the largest source for information security training and certification in the world. For VetSuccess we’ve put together an accelerated program of intensive, immersion training for veterans with interest and aptitude in cybersecurity. In just 2 to 4 months, graduating veterans master the practical knowledge and develop the elite skills needed to fill mission­critical jobs. 2. Employers provide the premier workplaces for cyber professionals. SANS is privileged to work with the leading organizations in the cybersecurity industry. These organizations understand the urgent demand for qualified cyber talent and the need to find, develop, and support that talent for the long term. 3. Veterans provide the talent to complete the intense training and the commitment to succeed in a world­class workplace. America’s transitioning veterans are uniquely suited for cybersecurity jobs. Their training, discipline, and integrity provide an essential foundation for developing the skills and knowledge cybersecurity demands. ● Transitioning veterans with experience and knowledge of cybersecurity. ● The admissions process identifies veterans with the aptitude and skills necessary to complete the intensive, accelerated training program. Applicants complete the SANS CyberTalent Enhanced Assessment ­ which measures both cyberscurity skills and aptitude. ● Veterans must be prepared to devote the time necessary to complete the 2­4 month intensive training. ● Free Tuition: Courses, GIAC certifications, and employer assistance provided at no cost to qualified veterans. ● Industry­leading Curriculum: SANS courses recognized as top professional development training in the cybersecurity industry. ● Hands­on Learning: Focus on practical, real­world knowledge needed to fill critical cybersecurity positions. ● Expert Faculty: SANS faculty combine extensive industry experience with excellent teaching skills. ● Committed Employers: A clear commitment to cybersecurity and veterans. ● Employment Opportunity: A direct connection to employers with critical, open jobs in cybersecurity. ● Pre­Screened Candidates: Minimum 1­3 years work experience in IT and demonstrated aptitude and skills in cybersecurity. ● Trained & Certified Graduates: Graduates receive extensive training and earn GIAC certifications. ● Immediate Impact: Graduates have working knowledge of the latest tools and technologies in use at leading companies.  ● Support Veterans: Provide a path to high paying jobs and careers in the growing information security industry. ● Cost­Effective Recruitment: Efficient access to uniquely qualified candidates for critical, hard­to­fill positions. ● Speed: graduates receive intensive, accelerated training in 2­4 months. save and email it to immersionacademy@sans.org.